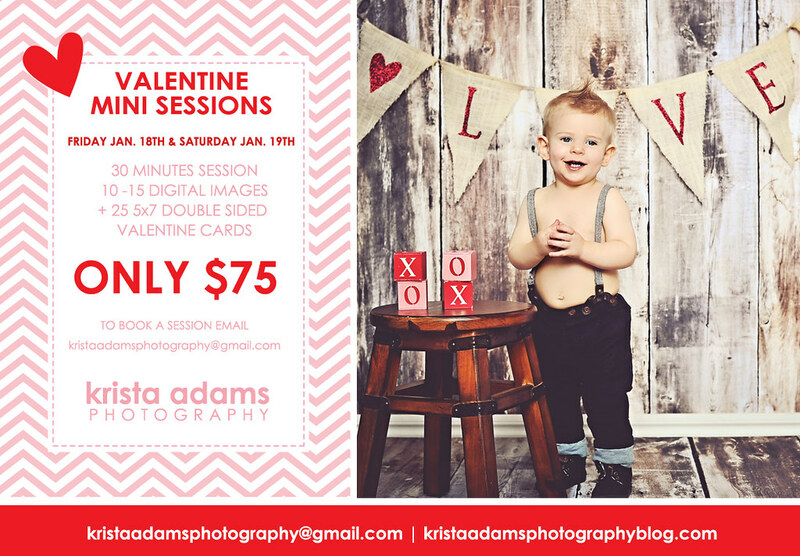 I'm excited to offer fun Valentine themed mini sessions this year! I have 3 super cute backdrops to choose from as well as some simply yet adorable props! Sessions can be up to 5 kids, additional child an extra $15. 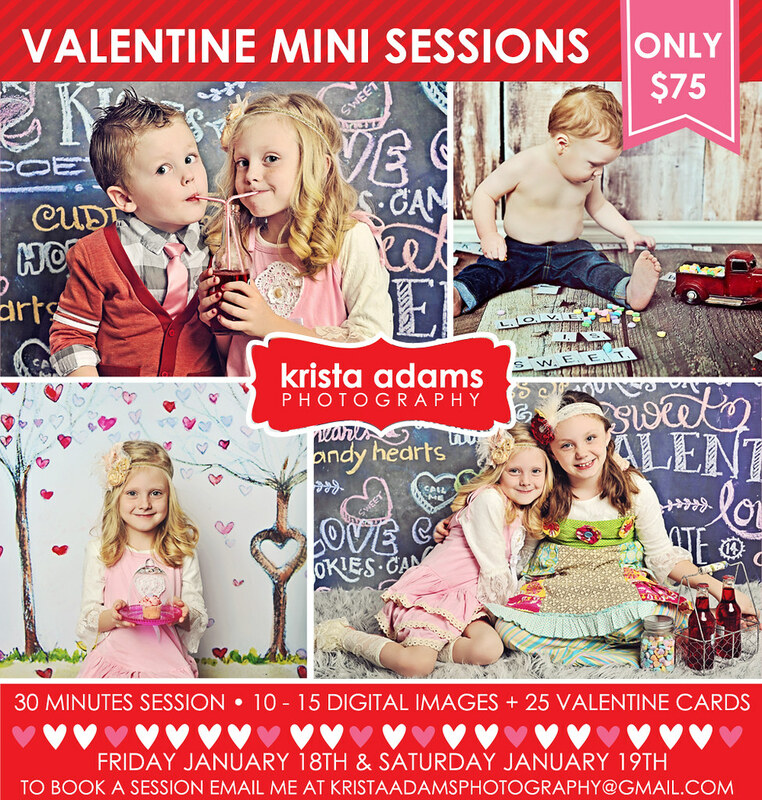 The sessions include 10-15 digital images, a copyright release and 25 5x7 double sided Valentine cards.